This week's Daily Record column is entitled "Print Media Must Evolve." One of my favorite social media gurus is Gary Vaynerchuk. He really knows his stuff, and presents information in a format —video —that is universally appealing. Vaynerchuk has a personality that is larger than life and his enthusiasm for his passions —wine and social media —is downright contagious. I’ve been a hard-core fan since I discovered his vlog —video blog —a little over a year ago. In my opinion, the man is brilliant. I was thrilled when he released his first book, “Crush It,” now a New York Times best seller, and had every intention of buying it. I truly wanted to buy it, but I held off because I knew I would never actually read it. Not because I didn’t want to read it, but because lately I’ve had a difficult time reading “paper” books. Before you shake your head in befuddlement and begin to mutter about the negative effects of technology, allow me to explain. When the Amazon Kindle was first released in November 2007, the idea of reading a book on some sort of newfangled electronic device seemed unappealing and unnatural. I dismissed the Kindle as some sort of fad that never would catch on. Then, I bought an iPhone. My life has never been the same. I kid you not: The iPhone changed the way I look at, and interact with, the world. It’s hard to remember how I functioned without my iPhone tucked snugly in my purse, within arm’s reach at all times. About six months ago, I discovered the Kindle app on my iPhone. I downloaded it, along with my first eBook. It wasn’t the ideal platform for reading a book —an iPhone screen is substantially smaller than a Kindle screen —but it wasn’t as horrible as I’d thought it would be. In fact, it grew on me. After a while I preferred the format over that of a regular book. It was portable, easily navigable and the electronic books were cheaper than the paper versions. I purchased and downloaded his vook and began reading. It was fabulous! As I read each chapter on my iPhone, I intermittently viewed supplemental videos. Vaynerchuk was right there with me, explaining his vision and thought processes as no one else could. A few days later I downloaded a cookbook, “The Breakaway Japanese Kitchen,” by Eric Gower, and watched the author prepare the recipes included in the vook. I was a vook convert. A week after discovering Vaynerchuk’s vook, I sat down for a cup of coffee and absently reached for a magazine. As I did so, I found myself wishing it was in the vook format. The future for print magazines is offering readers an ad-free, subscription-based magazine in a digitally-accessible format that uses video and interactivity. In other words, provide a variation of a vook, accessible online, on mobile devices and on ebook readers such as the Kindle and Nook. beauty magazine, videos showing how to apply make up; a cooking magazine, videos of the food being prepared; and a technology magazine, videos of various devices being tested. A few days after I conceived the concept, I learned Condé Nast had just announced it was in the process of creating a workable concept for digital magazines, and that “Wired” would be the first to appear in that format. The digital format would be for use on Apple’s yet-to-be-announced, and long-awaited, Tablet and possibly mobile devices, using Adobe technology. Videos were not mentioned as part of the interactive digital format. I think the format will become mainstream within two years if magazine publishers ensure the digital versions include video, are ad-free and are accessible on e-book platforms and mobile devices. Like books, people want to take their magazines with them in an easily portable format, rather than be tied to a computer. Some may balk at first, but eventually will embrace the technology. Rest assured, portable digital media is the next wave in the evolution of the dissemination of information. Magazines and newspapers will evolve into a digitally-accessible format or cease to exist. There’s simply no other option. 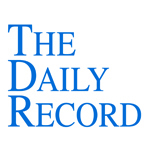 This week's Daily Record column is entitled "Change is good"
New technologies have the potential to radically alter the ways in which legal services are delivered to consumers. Forward thinking attorneys are embracing virtual law offices, cloud computing, social media and collaboration tools. Innovative practitioners understand the importance of using knowledge management to alter the consumer experience first, and the law firm’s systems second. This week's Daily Record column is entitled "Is cloud computing really less secure than the status quo?" Cloud computing, defined at Webopedia.com as the “sharing [of] computing resources rather than having local servers or personal devices to handle applications,” is a buzzword that has many lawyers up in arms. For an even better description of cloud computing, watch this Common Craft video online at www.commoncraft.com/cloud-computing-video. legitimate concerns. While the technologies may not be perfect, they are improving rapidly and are a much better alternative to the current computing status quo at most law offices. This week's Daily Record column is entitled "Does cloud computing compromise clients?" I predict that within about two to three years, lawyers in most jurisdictions will communicate and collaborate with clients using some type of an encrypted network. A number of states, including Massachusetts and Nevada, already have passed laws or regulations requiring certain types of confidential data to be sent electronically only via encrypted communications. More laws of that nature most certainly will follow, both at the state and federal level. In my opinion, such laws —most of which apply primarily to financial institutions —ultimately will incorporate some of the types of client information contained in attorney-client communications, in large part because of rising concerns due to recent large-scale data disclosures. In fact, that type of data breach is one of the primary reservations expressed by lawyers when considering whether to implement cloud computing platforms in their law practice. A recent federal court decision fanned the fire, causing many attorneys to decry the use of cloud computing and assert that doing so violated the very basic obligation to protect confidential client communications and data. Much of the reluctance to apply traditional notions of third-party disclosure to the e-mail context seems to stem from a fundamental misunderstanding of the lack of privacy we all have in our e-mails. Some people seem to think that they are as private as letters, phone calls, or journal entries. The blunt fact is, they are not. One preliminary matter is not in question: The government does not dispute that Tannin has a reasonable expectation of privacy in the contents of his personal e-mail account.” See U.S. v. Zavala, 541 F3d 562,577 (Fifth Circuit 2008) (‘[C]ell phones contain a wealth of private information, including emails, text messages, call histories, address books, and subscriber numbers. [The defendant] had a reasonable expectation of privacy regarding this information.’); U.S. v. Forrester, 512 F3d 500, 511 (Ninth Circuit 2008) (‘E-mail, like physical mail, has an outside address ‘visible’ to the third-party carriers that transmit it to its intended location, and also a package of content that the sender presumes will be read only by the intended recipient. The privacy interests in these two forms of communication are identical. The contents may deserve Fourth Amendment protection, but the address and size of the package do not.’). Accordingly, despite the fact the dicta in the Oregon decision flies in the face of binding precedent, online commentators repeatedly raised concerns regarding the decision, asserting it was further evidence that the use of cloud computing in law practices is ill-advised. I would assert to the contrary the Oregon dicta is further evidence that the incorporation of encrypted client communications in cloud computing may well be the primary factor that convinces attorneys to accept cloud computing services as a legitimate law practice management alternative to traditional software packages. A number of well-established cloud computing providers already incorporate encrypted communications in their platforms. For example, VLOTech, Clio and NetDocuments allow for varying types of encrypted communication with clients. Another online legal platform, NKrypt, is devoted to providing a secure, encrypted e-mail network. Cloud computing providers are adapting quickly to and responding to the concerns raised by lawyers. 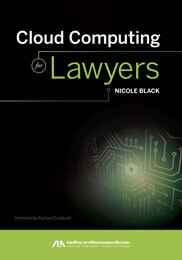 As a result, lawyers are becoming increasingly comfortable with the concept of cloud computing. In fact, according to the 2009 Am Law Tech Survey, 84 percent of responding law firms already use SaaS (Software as a Service), a form of cloud computing, in some capacity. As cloud computing becomes more prevalent in the legal field, more lawyers will understand the importance of carefully negotiating their contracts with the services providers to ensure that, for example, they are notified if a warrant relating to their data is served. Mark my words: Cloud computing is the wave of the future, and encrypted communication is one of the keys to putting attorney’s minds at ease regarding an emerging technology. Astute providers will incorporate encrypted communication into their platforms, and smart lawyers will learn about and use the emerging technology in their practice. This week's Daily Record column is entitled "Tricks for efficient online interaction"